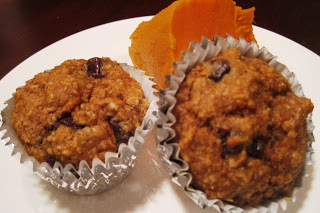 I love it when I’m asked to come up with healthy versions of desserts like this recipe for protein muffins. I am always up for the challenge and my creative kitchen juices start flowing. This recipe challenge came from the idea of a Chocolate Filled Sweet Potato Cupcake. Well, cupcakes are not on my clean eating agenda but I do love a healthy fresh baked muffin. In fact, I prefer the dense texture of a muffin over a cupcake, and if you can pull off the muffin top with a somewhat crispy texture, OH MY, that is heavenly. Then to dive into a moist flavor filled center, well that recipe spells SUCCESS. So it comes as no surprise that this is where I would focus my attention in considering the ingredients I would use. I am also into simple, while eliminating unhealthy fats, and eliminating or reducing sugars (most dessert recipes call for up to 2 cups of granulated sugars … YUCK). I created this recipe without using any mixers, except ME … LOL. I had several clients sample my creation and got rave reviews!